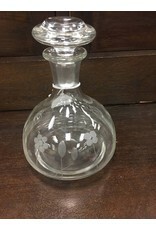 Vintage clear glass decanter styled after a "ships decanter". 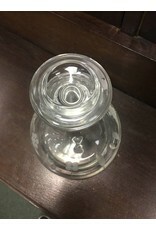 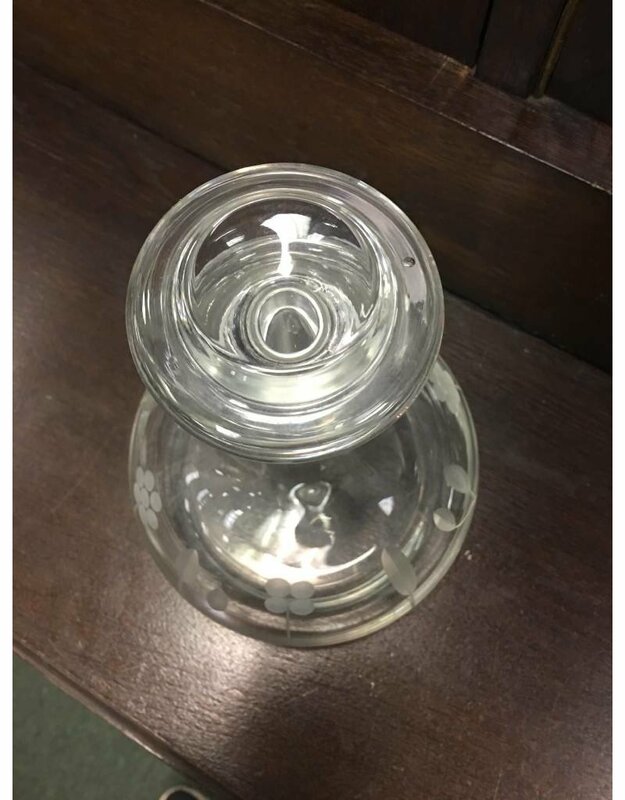 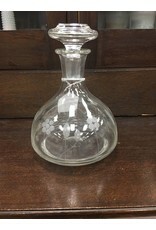 The decanter is in like new condition with no surface wear, chips or cracks. 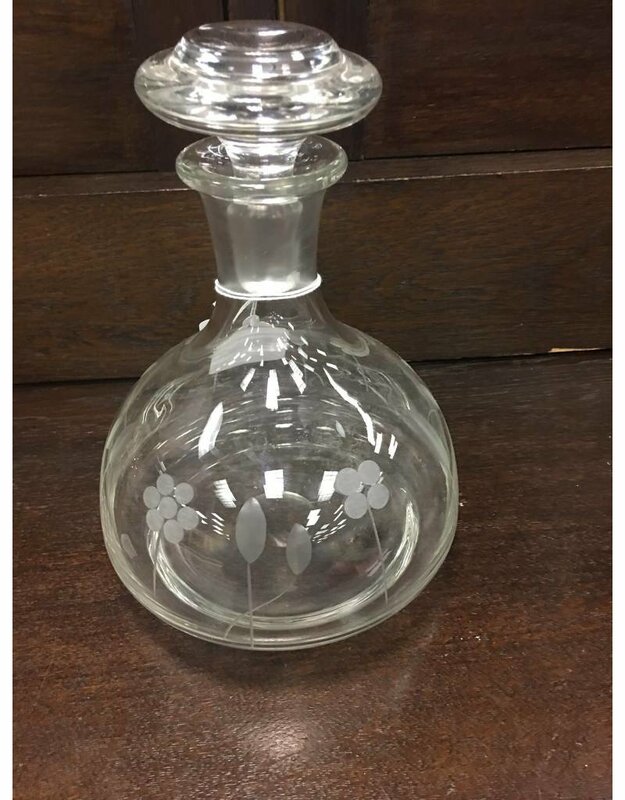 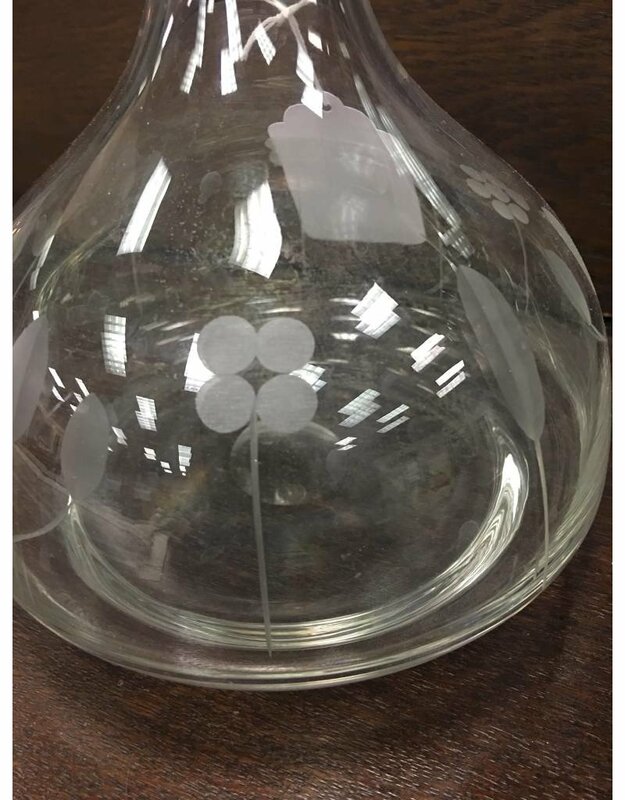 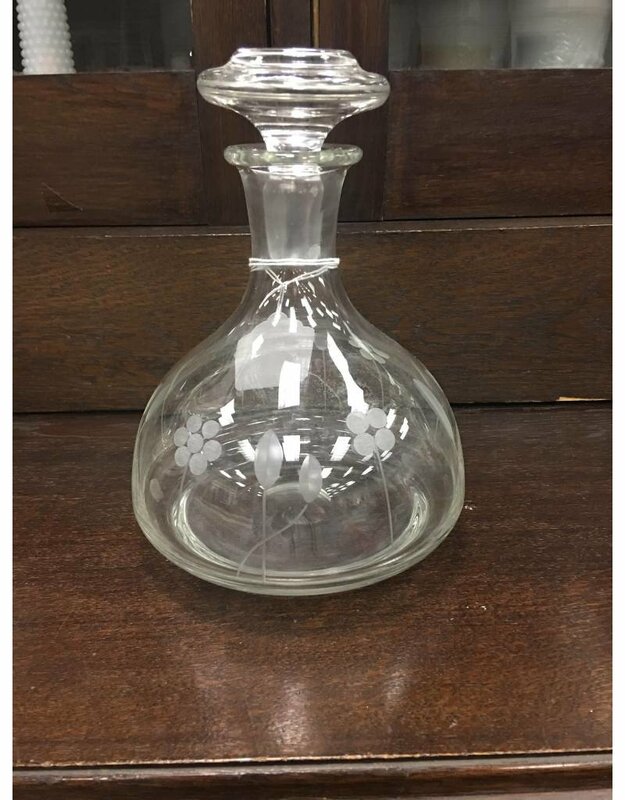 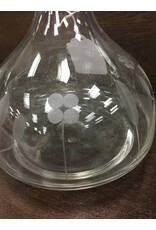 The base of the decanter features a etched floral design.